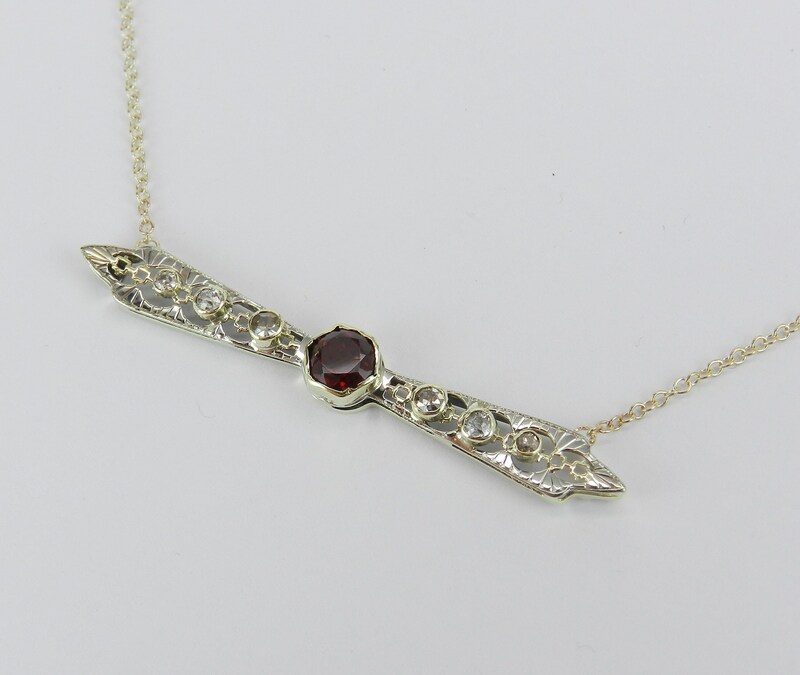 14K Yellow Gold Antique Victorian Diamond and Garnet Pendant Bar Necklace. This piece has a unique design and is all HAND MADE. 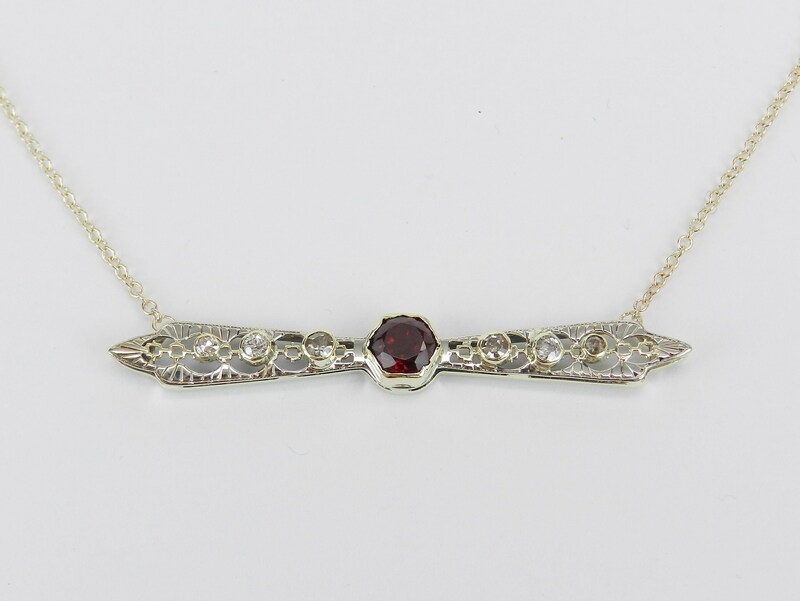 There are six genuine Diamonds set in this necklace. These Diamonds are all old miner cut, I/J color, I1 clarity and weigh a total of .32 carat. 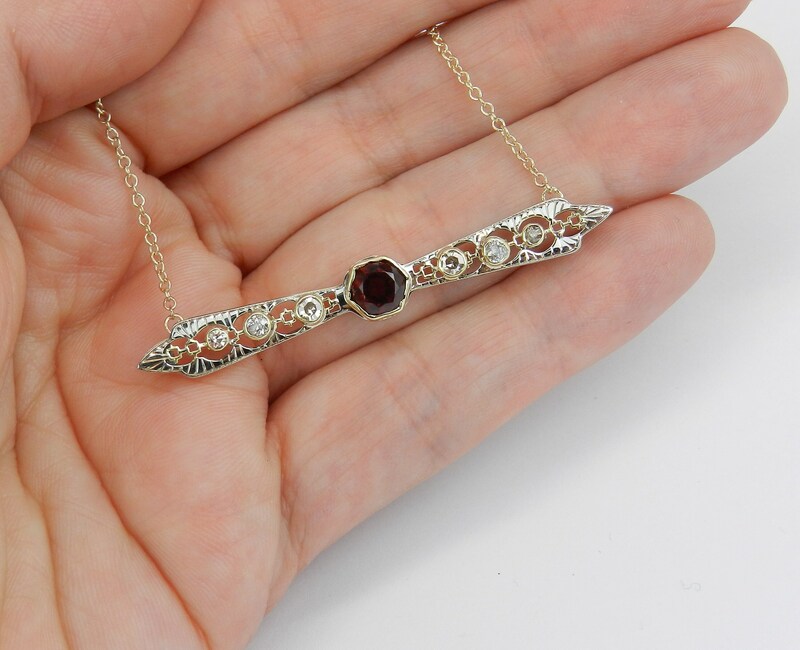 There is also a unique shaped Spessartite Garnet set in a bezel in the center of this necklace. 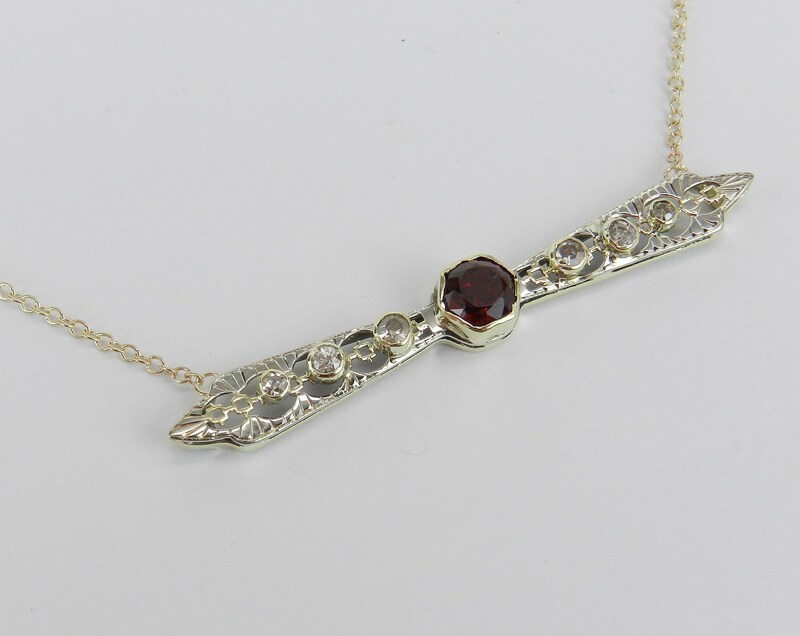 All the gemstones in this piece are original and date back to Circa 1930's. This pendant was a brooch and was made into a necklace. It is attached to a 14K Yellow Gold chain and measures 18" in length. 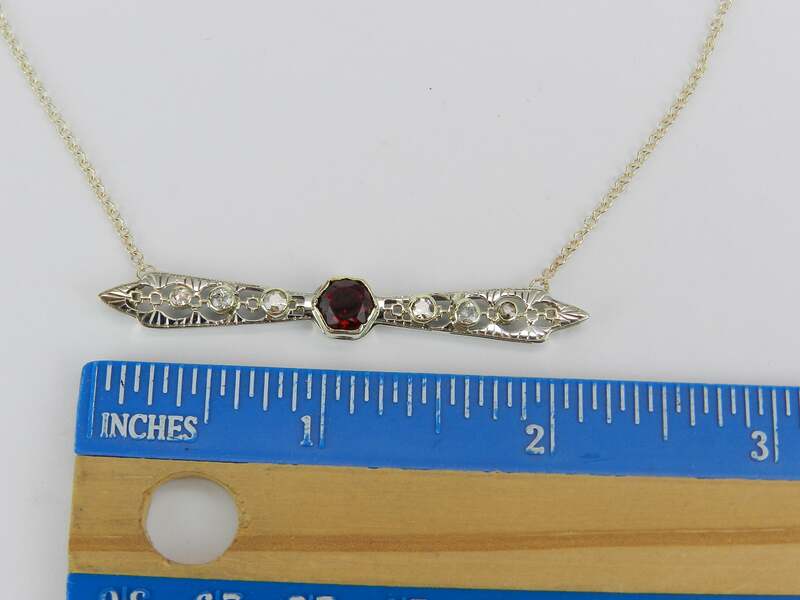 This necklace weighs 5.0 grams and the centerpiece measures 55 mm across (2 1/8"). 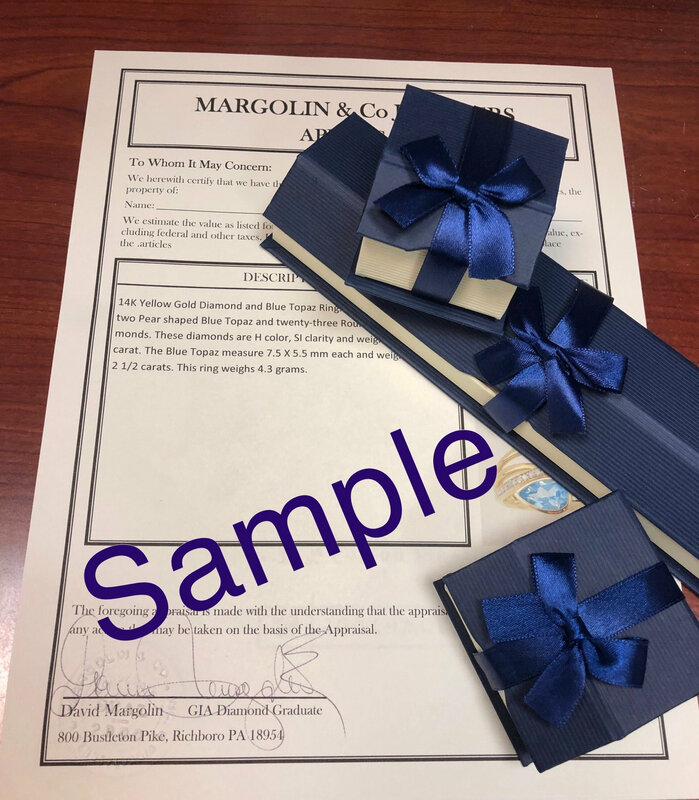 This necklace will also be accompanied by an appraisal by a GIA Certified Diamond Grader with the replacement value of $1,645.00. I will ship this piece promptly in a beautiful gift box.